As I write this in mid-August the grass is way tall, the garden is beat down and plants are splayed all over the paths, looking like they have been defeated and given up trying to stand tall. We have had such frequent and dramatic rainfall during this late summer that I finally gave up on attempting to keep things looking tidy, and decided to just wait and let it run its course. The deluges were so intense that the water coming off the hill behind our house created new channels through the garden, washing away soil and gravel, much to my dismay. Nature can certainly dish it out! Truthfully, I might prefer the rain to hot and dry, and watching everything wilt and brown out early. Normally I would just go out after each rain and cut back the things that have flopped; deadhead plants, cut the grass and restore order to the universe. After doing that a couple of times within a week, I just gave up and threw in the towel. I bet many of you can feel for me! It looks like we are going to have a sunnier end of August, but in the meantime, I am dreaming of Fall. 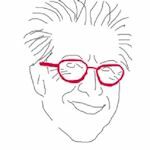 OK, I know that I am in a small minority and that many people dread Fall, seeing it as a precursor of Winter, but if you have been reading my column you know that I love the Fall and Winter. I should rename my column: The Reluctant Gardener! It is not that I don’t love gardening and what I do. I do! I wouldn’t have it any other way; it is the coolest job ever! It is just that trying to be perfect is so exhausting! Seeing the Fall coming signals that there will be a break soon and relieves the pressure. Also, anyone who doesn’t love the crisp, colorful, romantic and overwhelming feeling that comes with our Catskill Autumn, must not live here. I can’t say that I was one of the kids who was looking forward to school starting (I wasn’t), but even in Louisiana, where I grew up, the Fall had such a powerful aura that I remember that feeling over the awful back-to-school pit in my stomach. So, as I start to see the first maples showing a little hint of orange, and the days grow a little shorter and crisper, some primal emotion emerges, and I become excited. OK, I am truly getting lost here in my dreamy thoughts; back to reality. With Fall dreaming comes concern about Fall preparation and the tasks at hand. One reason that I find Spring so stressful is because everything happens at once and there are many things that MUST be done. Late Summer/early Fall also presents some chores and considerations, but they aren’t so crucial. One thing that really should be done about now, if you aren’t a gambling man, is to order bulbs. You can wait until later, but you will be taking a chance that you will not be able to find what you want. I am going to order a new allium this year that one of my colleagues suggested as a great, but less expensive, allium option, called Purple Sensation. 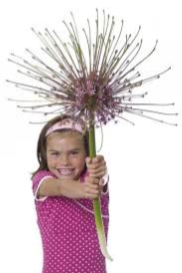 I am also going to order some of the very quirky and fun Allium shubertii that flower with huge spheres which look like fireworks. I think I need to devote a column (or three) to bulbs soon. This is also a good time to cut back many of the perennials that are looking bad and will not be good to leave up through the winter. Be sure not to go too crazy and do leave some seed heads on any remaining foxglove, lupine, hollyhocks or anything else you want to reseed, mostly biennials and reseeding annuals. However, be sure to deadhead things that you don’t want to reseed (in my case, the cup plant!). If you are a gardener, you know what they are. There are many things that “they” say to do at certain times of the year and I say “pfeh.” My basic rule is that I do things when I have the time (or they don’t get done.) One of these things is dividing perennials. September is a good time to divide perennials that are not late bloomers. So now is a good time to tackle daylilies and peonies, but there are many others. If you are reluctant to do it, I am giving you a little nudge. Dividing plants is a very good and gratifying thing to do as it invigorates the source plant and makes a lot of new plants that you can use to fill in an area or give to your friends. Garden sharing and love is a beautiful thing. There are a couple of things that “they” say you should not be doing in September that I listen to and which make sense. You should really not fertilize anything but annuals between mid-August and late Fall, as you don’t want to encourage new growth that will just be met with hard frosts and the coming Winter. 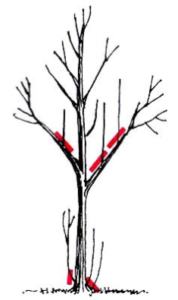 The same goes for serious pruning; it also encourages the woody plants to put out new growth that will likely not survive the coming cold. You can and should, however, take out any dead or diseased wood. Also, it is best to remove suckers and water spouts when the plants are not as keen on repairing damage, so now is a good time to do that. I am now inspired to get out and clear my paths and beat back the jungle a little so that I can enjoy my Autumn dreams.